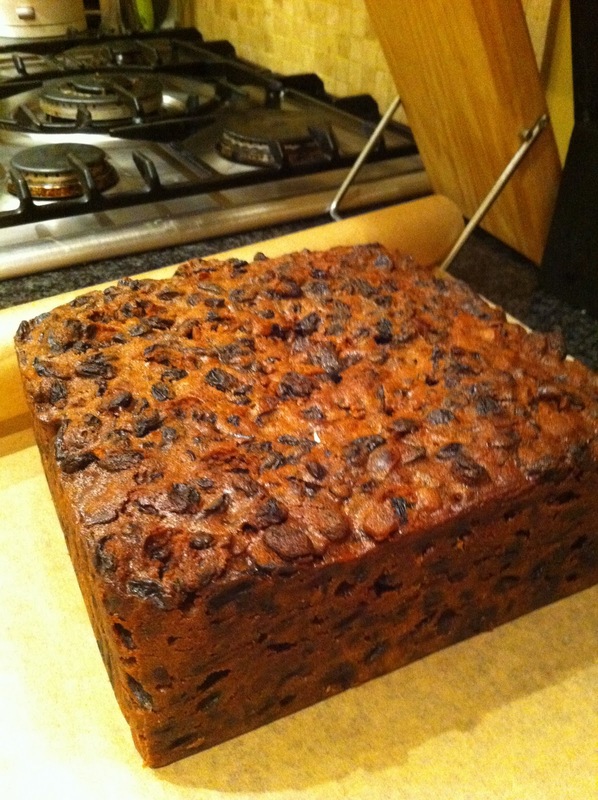 Aga Girls: Glendoe Fruit Cake. In my University summers I work as a lodge cook in scotland where they often request fruit cake to take up onto the hill. This means that unlike most people I don't make fruit once a year but regularly so I have had plenty of opportunity to adapt and amalgamate recipes to create my own. 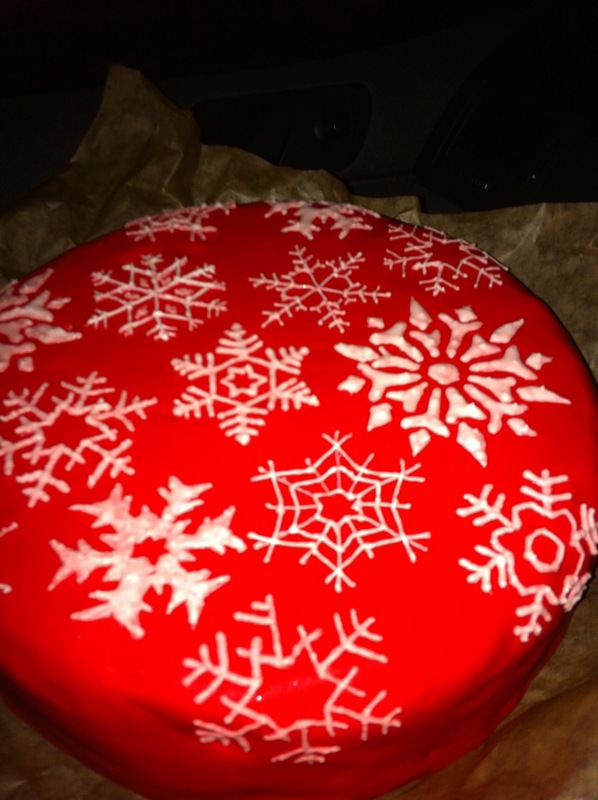 Fruit cake recipes are very personal and easily tailored to your own taste. I don't especially like cherries so I don't put many in and replace the rest with crystallised ginger. 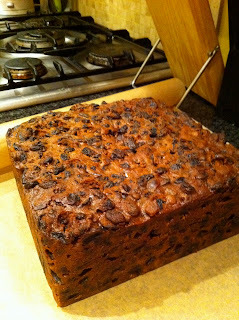 The name for this recipe comes from one of the estates I work for which particularly likes fruit cake. 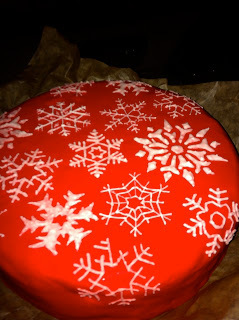 Christmas cake often has a bad reputation not only because fruit cake is very out of fashion at the moment but also because rumour says that we must make it months in advance and it still often ends up being very dry after all that time and effort. Whilst I will not dispute the fact that you can get more flavour into a cake if you have let it mature and continued to feed it with alcohol for a few weeks before icing but that does not mean that it is a compulsory stage of the process. This fruit cake recipe can be made and served on the same day. It fits into a nine inch round tin or an eight inch square tin. 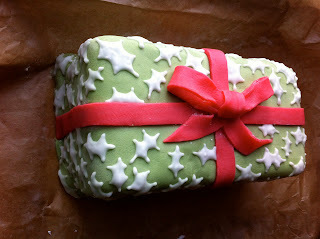 This year I made multiple fruit cakes as I put them into my christmas hampers. The square tin is good for hampers as you can cut it up to share between multiple hampers. Mary Berry suggests baking individual fruit cakes in old baked bean tins which is something I will definitely be trying in the future. I like to decorate my cakes with fondant icing as a base than then pipe royal icing decorations over the top. This year was the first time that I tied news paper around the cake tin whilst it baked. Having always thought that it was a waste of time I will admit that it did make sure that the cake much more evenly throughout. If you have time I would suggest it but it is not necessary but I would suggest it you don't wrap the tin then you will need to keep a closer eye to the top of the cake as it cooks. Method: If you have time then put all the fruits, spices and brandy into a bowl together cover and leave over night. If you don't have time don't bother. Preheat the oven to 150c or in a two door aga use the bottom oven. Cream the butter and sugar together. Then add the eggs one at a time. Next mix in the flours and the fruit. Put the mixture into a lined tin. Bake for 3.25-3.5hrs or until a skewer comes out clean. If you are not serving it immediately then every few days or so make small holes into the cake with a cocktail stick and spoon over more brandy to taste.